Have a CRB check (criminal records check). Have held a full driving licence for at least three and a half years. Be able to read a number plate where the letters and numbers are 79.4mm from a minimum 27.5m (90ft). Be a fit and proper person to have your name entered on to the register. All convictions including motoring offences still in force , may be taken into account when accessing your suitability. Pass the compulsory three part examination. The best thing about being a Driving Instructor is the feeling I'm doing a job that makes a Difference to other peoples lives. 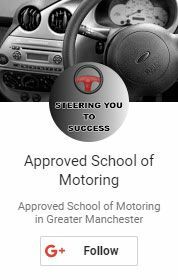 Driving Instructing is a very practical skill and the ability to communicate with others and appreciate safe driving is far more important than academic qualifications. However as with any course you undertake it is essential you are prepared to work hard and put in plenty of private study. Therefore if you are good with people, have held a driving licence for three and a half years (with no more than five points and no bans) and take a pride in your driving, this may be the right career choice for you. You train for this exam in the comfort of your own home with the Approved home study pack. This pack includes DSA recommended books, further study material and also the complete bank of official study questions and answers used by the DSA. Who compile the multiple choice questions for the part 1. This exam consists of 4 sections plus a hazard perception test. The objectives for this training are to ensure you have a full understanding of all sections. We will access your progress on each section once you have completed your study for each section, so you always know where you are and what you need to study. The amount of training for this exam is unlimited and is dependent on your personal requirements. This training is structure to minimise your time away from your current career. 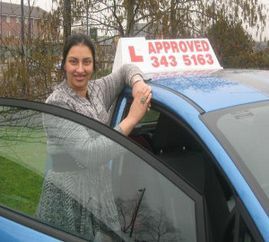 Our aim is to bring your driving up to the standard required by the DSA in order to pass the part 2 exam. We not only teach you the way you should drive but ensure you understand why you should drive this way. This will help you to develop fault identification, analysis and remedial skills (core competencies) so vital for the part 3 exam. Are you approaching your part 3 exam? Is it your second or third attempt? Do you feel a lack of support? Approved school of Motoring are receiving a high volume of calls from PDI's who are finding it difficult to pass their part 3 exam so much so, that we now offer recovery training. We are finding this very successful with excellent pass rates. If you can answer yes to any of the following questions, then give us a call for free advice. We have helped many PDI's passing their ADI part 3. Rouhollah Aliahmadi, Passed after taking recovery training with us. 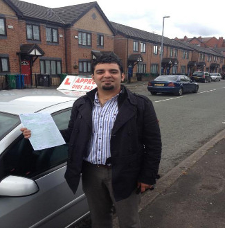 (passed with a 5-5) and at only 23 years old he is one of the youngest instructors in Manchester.